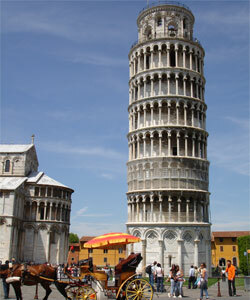 One of our most popular Italian schools, Pisa is a beautiful location in which to study Italian abroad. Located in Tuscany, Pisa has a large historic centre, unspoilt by modern development, offering a very traditional ‘Italian’ location in which to learn the Italian language and enjoy the Tuscan lifestyle and cooking. With cultural events throughout the year, you can study Italian in Pisa at any time of year and be guaranteed plenty to do and see. 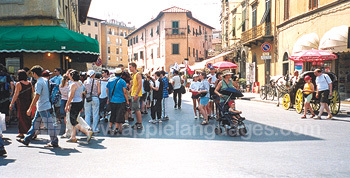 Many students come from abroad to Tuscany to study Italian, but Tuscany is also popular with native Italian students. Each year thousands of students study at university in Pisa. Though you can study Italian at any of our schools in Italy, our school in Pisa also offers an Italian cooking course in the evenings, extremely popular with students from abroad on Italian courses at the school. 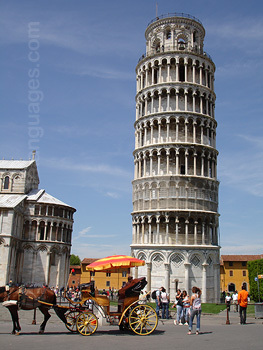 Our Pisa school is centrally-located, just a short walk from famous leaning tower. Established over 20 years ago, it was one of the first schools in Tuscany to offer Italian language courses for students from abroad. 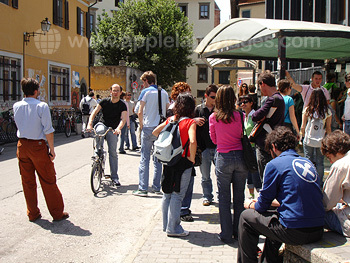 The school offers ‘Standard’ (20 lessons/week) and ‘Intensive’ (30 lessons/week) Italian courses. 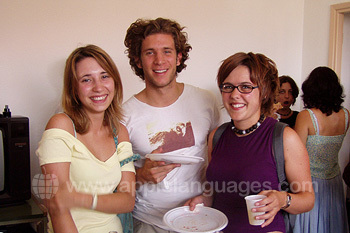 You can also choose to study ‘History or Art’, ‘Italian Grammar’ or ‘Italian cooking’. 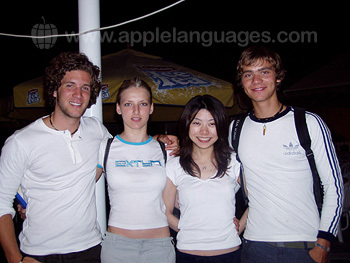 The school also arranges for some students to do a period of work experience at the school, combining study abroad with useful work experience. 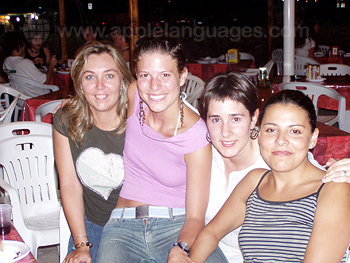 Students attend the language course only for a period of 4 weeks (this is included in the price for the programme) and during their work experience, students continue to study the standard Italian course at the school free of charge. Please contact us for further details of this work experience abroad program. Students can stay with carefully-selected Italian host families, shared student apartments, or in private studio apartments. Our school in Pisa recommends that students from abroad stay in host families, so that they practice with the family the Italian language they study on their course. In this way they also benefit from the excellent cooking that Italians from Tuscany are so proud of! As well as high-quality Italian language courses, our school also arranges a fantastic programme of optional activities, such as trips to the Piazza dei Miracoli (home to the famous Leaning Tower of Pisa), school parties, wine-tasting and trips to places such as Florence, Siena and Rome. As with all our schools, all the activities offered are optional and may incur a small additional charge payable directly to the school to cover costs such as entrance fees and transport. Our school in Pisa arranges airport transfers from Pisa Airport/Railway Station, for students who prefer to be met on arrival and taken to their accommodation. The service is also available from Florence Airport/Railway Station. Average score for our school in Pisa based on 25 previous client reviews. The course was great. I was lucky to be assigned to a very high level group with only 4 participants. The learning atmosphere was very friendly and in a right pace. The teachers were very knowledgeable and helpful. The accommodation was very good and short distance to school. The overall standard of the school was very good. The standard of teaching with three of my four teachers was very high. The accommodation was clean and well equiped. My host was very welcoming. Very Interesting course. Enjoyed interaction with other students. The accommodation was excellent, very clean and comfortable. Signora Corruccio very helpful. The courses were really ok, we did much interacting and conversation in class.My accommodation was a very nice room with plenty of space! Very enjoyable experience, very high standard of teaching, I was provided with a helpful map of Pisa on my first day, easy to make friends with other students, convenient location of school, well-organised. There was a good mix between grammar based and conversational classes. The teachers and staff were all very friendly and helpful. The school organised various trips for us to go on which added to the experience being immersed in Italian culture; which included a local vineyard, Lucca and Firenze. I had never looked forward to going to school so much before I came here! I only stayed for 2 weeks but I feel as though I learnt so much and it was definitely worth every penny. My host was a very friendly lady who is a great hostess and cook. Every meal time was enjoyable, and it gave the chance to practise Italian as she doesn't speak English. She always prepares big portions of food and some often is left over, meaning no one will ever go hungry if they are staying with her! I thoroughly enjoyed staying in this accomodation, and I wouldn't think twice about coming to stay here again. Every day was a new experience on this course, by the end I was so sad to leave because I made so many great friends with so many people of different countries. The all round experience is absolutely incredible. Before I went I couldn't string 2 words together, but being there improves your confidence so much that you start picking up the language very easily. It is an amazing feeling when you really start to comprehend what people are saying! I am just sad I had to leave behind so many friends, but never mind I can go back next year! The school has a very good standard of teaching and organisation. I learnt a lot in a week. Very nice accommodation with a friendly couple. Staying with a family gives you much more opportunity to speak the language. Overall, a very nice experience. I would definitely go again. The course was very enjoyable and the tutor was skilful in adapting content for different levels. My accommodation was excellent in all respects. High standard of facilities and friendly, helpful but not intrusive family. Within easy walking distance to school (10 minutes) too. The teacher took trouble to meet our declared needs and was very helpful . He devised interesting lessons and we found the use of newspapers and articles particularly helpful, as well as the reading practice we did. We were very pleased with our host family, we were comfortable and had interesting discussions over good breakfasts. We would use this school again, we enjoyed Pisa, finding sufficient to do, good places to eat, and good public transport with which to explore the surrounding area. I found the level of study which suited me and the course was educational and good fun. I stayed in a hotel which was a former convent and it was excellent. Just want to say a huge thank you to my two tutors, they were real stars! I had a one-to-one intensive course for two weeks and I loved it! To begin with 8hrs a day intensive work was well, intense and the first couple of days I was shattered, but I loved it and now that I'm back in the Uk I can honestly say that I'm missing speaking/listening to Italian for such a large quantity of the day! 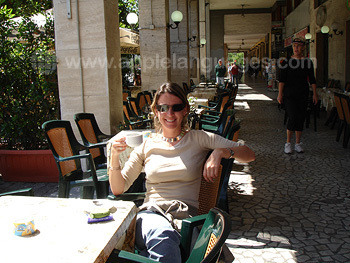 Lessons were varied and fun and I've taken much from my experience out there in Pisa. The woman we stayed with was amazing, we were so lucky to have been placed with her. She was really friendly and really patient with our language mistakes. She was honest, open and trusting with both myself and the other students that were staying with her. I received very good tuition. I styaed with a lively and very friendly lady. She was a great communicator who was more than happy to spend time in conversation. A very enjoyable experience which I shall definitely repeat. Excellent accommodation with a couple whose passion was good food and wine. They couldn't have made my stay more enjoyable. The school in Pisa is central and convenient for both buses and trains. Pisa is a relatively small city and bus tickets were cheap. There is an excellent bar just opposite the school. Having done one course already earlier in the year I thought I knew what to expect but the course surpassed my expectations - and the group of students I spent time with ensured that I was able to speak italian virtually all the time. I had been told to expect "basic" student accomodation but I couldn't have had better accomodation or a better host. The course was excellent - I really enjoyed it and learnt a lot! It was good (after the initial shock!) to 'tune-in' to Italian spoken at the usual, fairly fast rate! The teachers explained everything excellently and the sessions were informative, stimulating, entertaining. I feel much more confident now, though I realise that one week wasn't really enough, most of the students were doing more. Maybe another time, if I can persuade my husband! We stayed with a wonderful host family. They were friendly, welcoming, helpful, knowledgeable ... and generally delightful to be with. They are both very busy people, but were unfailingly sociable, helpful and relaxed in our times with them. I hope that we shall keep in touch. The lessons were good and well structured, the materials were also good. I must thank the teacher for her expertise and energy. I am a teacher myself and recognise an expert! It was good to learn the formal structure underpinning the language as well as vocabulary. The teachers made every effort to ensure we were stretched and placed in the right class and there was lots of opportunity to review progress and change classes if necessary;an excellent and professional set up in Pisa. It was simple but comfortable and very close to the school as I requested. My hosts fed me very well and were concerned to help me with my Italian. I felt very happy with them. I had a great time and will certainly repeat the experience.